Revision 2014 Make this Easter Holiday count!. 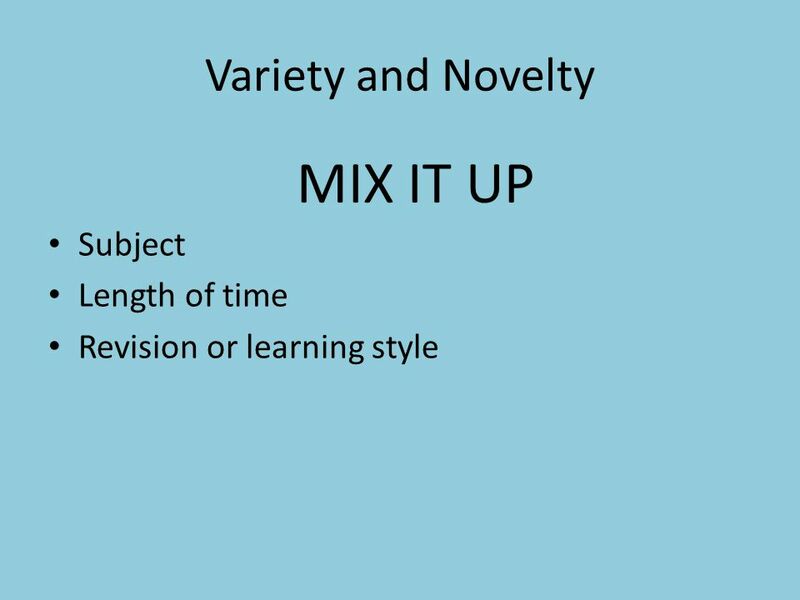 Variety and Novelty Subject Length of time Revision or learning style MIX IT UP. 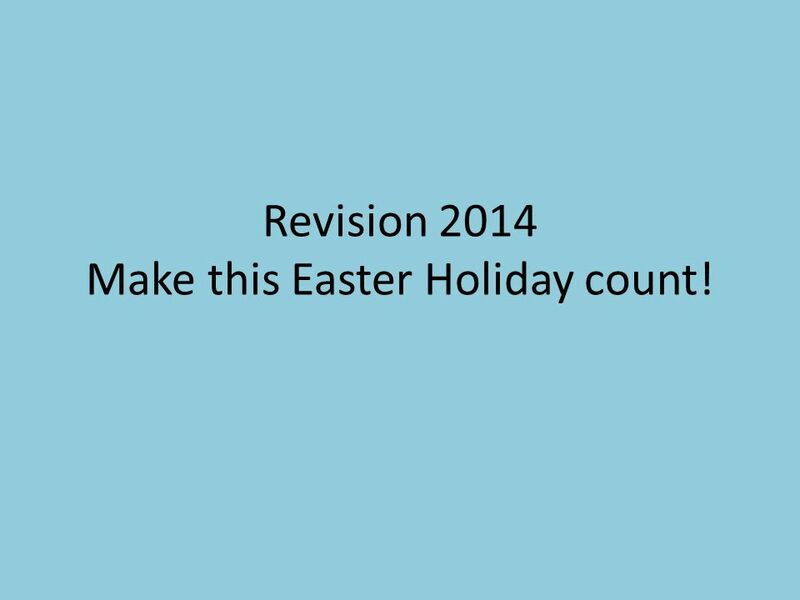 1 Revision 2014 Make this Easter Holiday count! 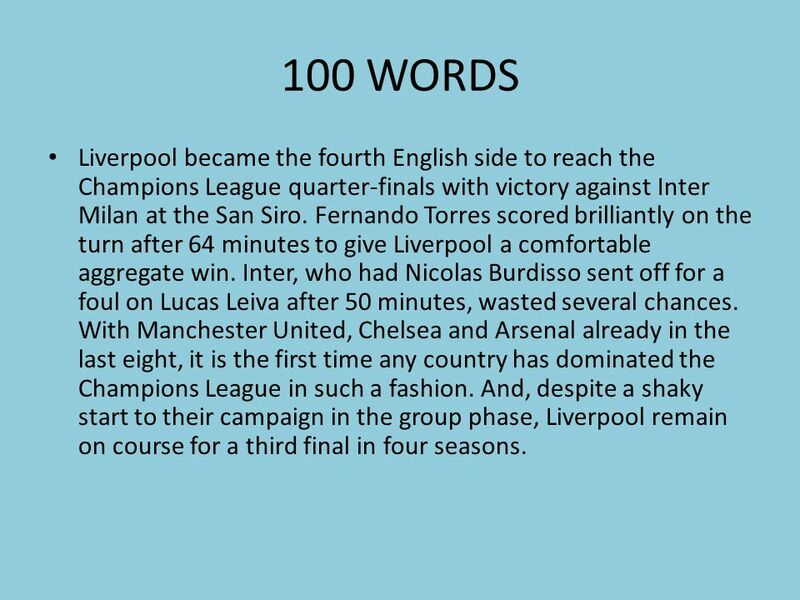 4 100 WORDS Liverpool became the fourth English side to reach the Champions League quarter-finals with victory against Inter Milan at the San Siro. Fernando Torres scored brilliantly on the turn after 64 minutes to give Liverpool a comfortable aggregate win. Inter, who had Nicolas Burdisso sent off for a foul on Lucas Leiva after 50 minutes, wasted several chances. With Manchester United, Chelsea and Arsenal already in the last eight, it is the first time any country has dominated the Champions League in such a fashion. And, despite a shaky start to their campaign in the group phase, Liverpool remain on course for a third final in four seasons. 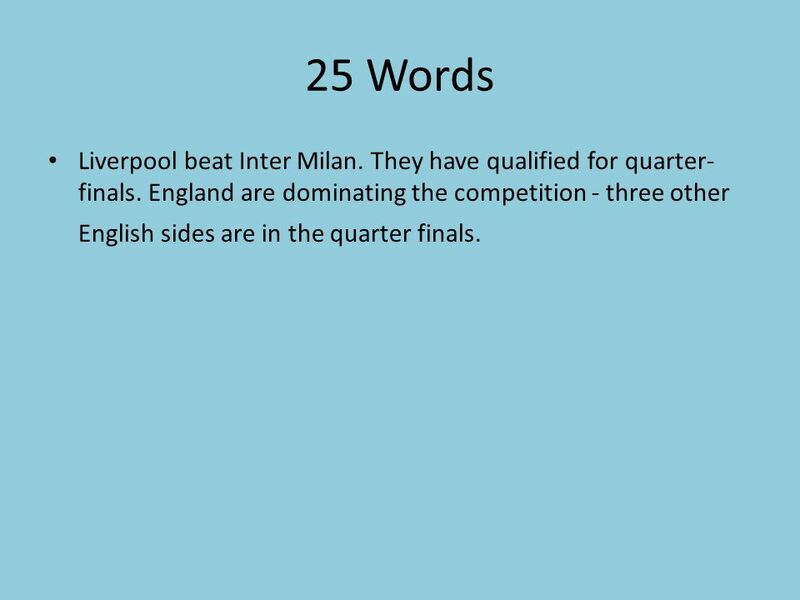 5 25 Words Liverpool beat Inter Milan. They have qualified for quarter- finals. England are dominating the competition - three other English sides are in the quarter finals. 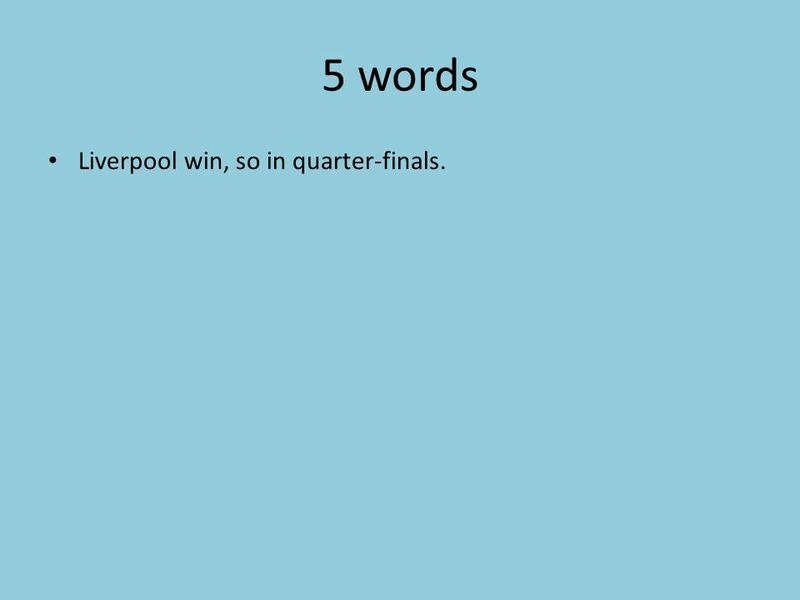 6 5 words Liverpool win, so in quarter-finals. 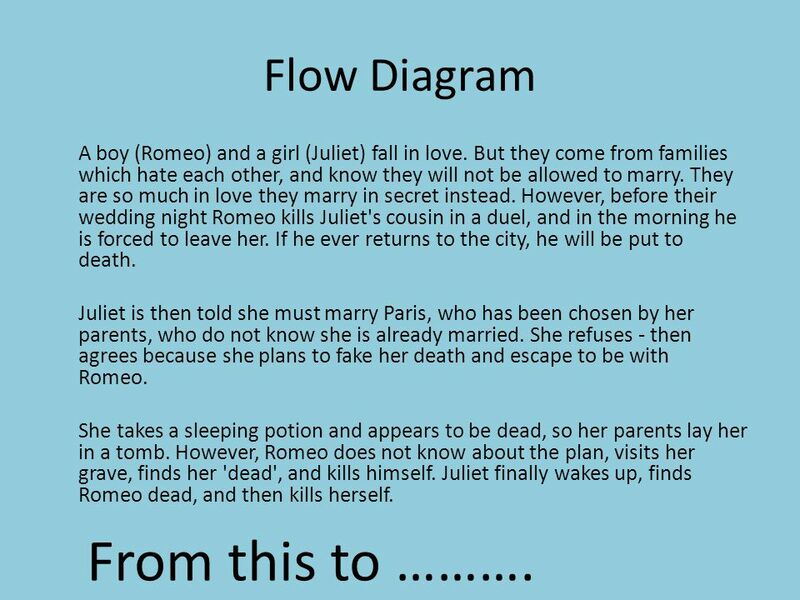 7 Flow Diagram A boy (Romeo) and a girl (Juliet) fall in love. But they come from families which hate each other, and know they will not be allowed to marry. They are so much in love they marry in secret instead. 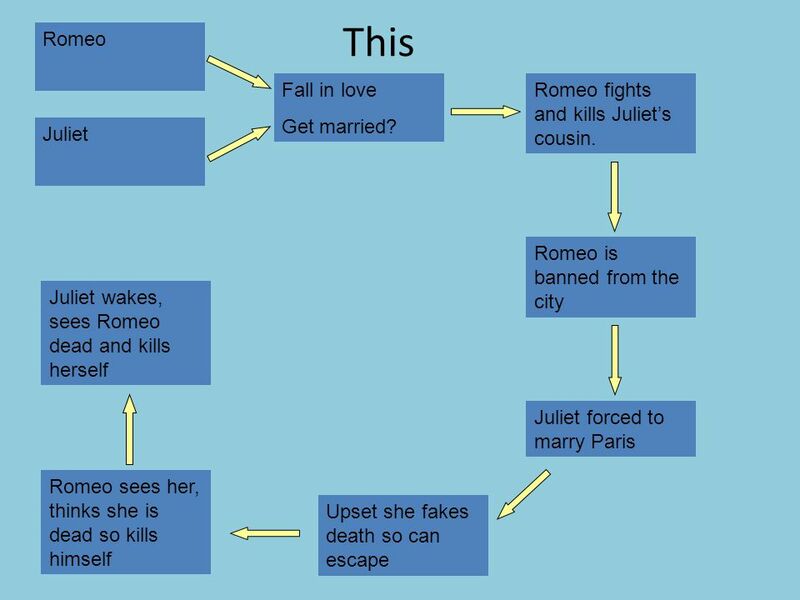 However, before their wedding night Romeo kills Juliet's cousin in a duel, and in the morning he is forced to leave her. If he ever returns to the city, he will be put to death. Juliet is then told she must marry Paris, who has been chosen by her parents, who do not know she is already married. She refuses - then agrees because she plans to fake her death and escape to be with Romeo. She takes a sleeping potion and appears to be dead, so her parents lay her in a tomb. However, Romeo does not know about the plan, visits her grave, finds her 'dead', and kills himself. Juliet finally wakes up, finds Romeo dead, and then kills herself. From this to ………. 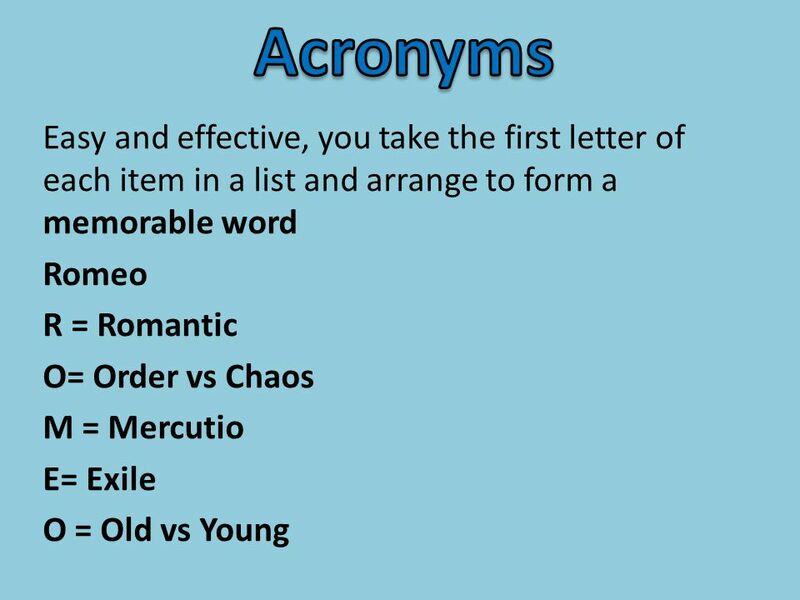 10 What is a mnemonic? 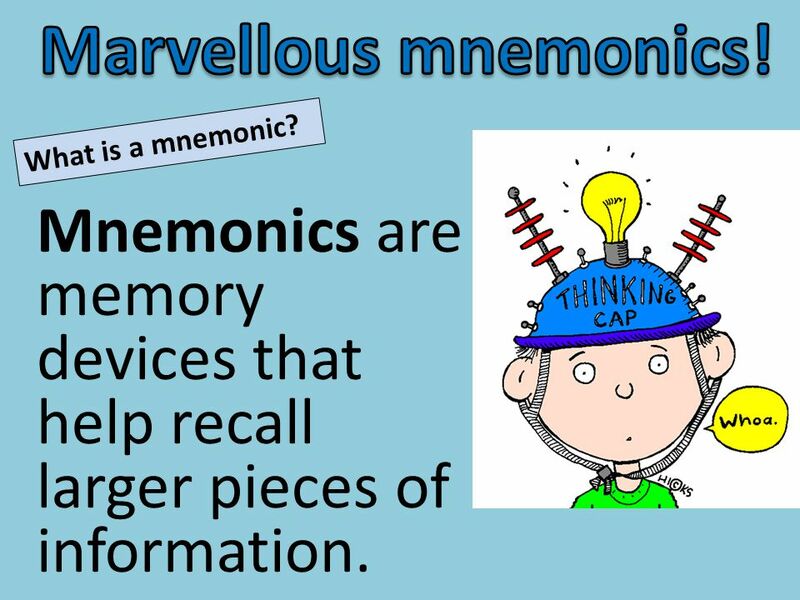 Mnemonics are memory devices that help recall larger pieces of information. 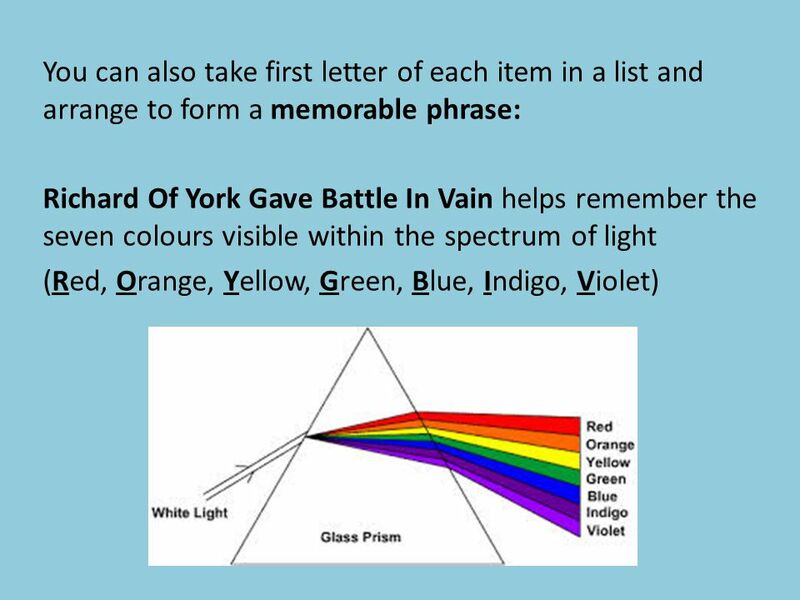 13 Or maybe the most fun and creative mnemonic is to turn your revision into a song or rap. 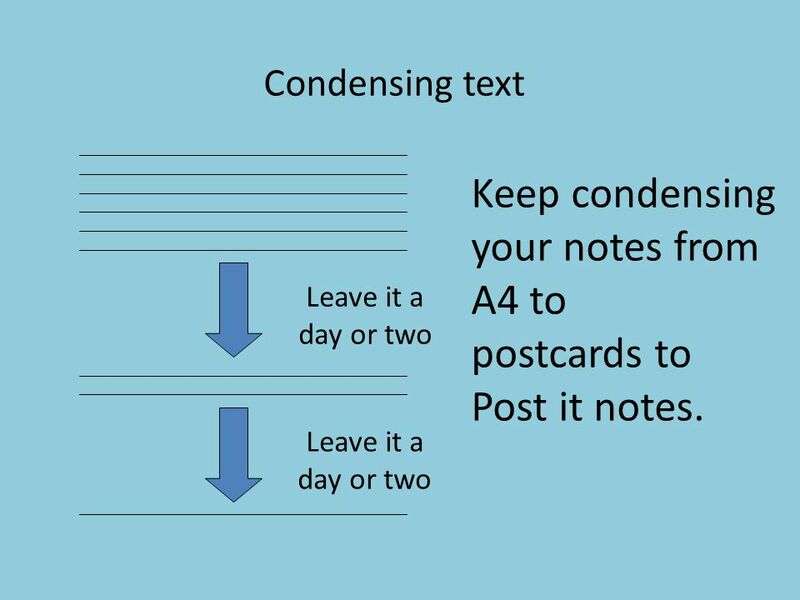 Write down all the content you need, and put the words to a familiar tune and off you go! 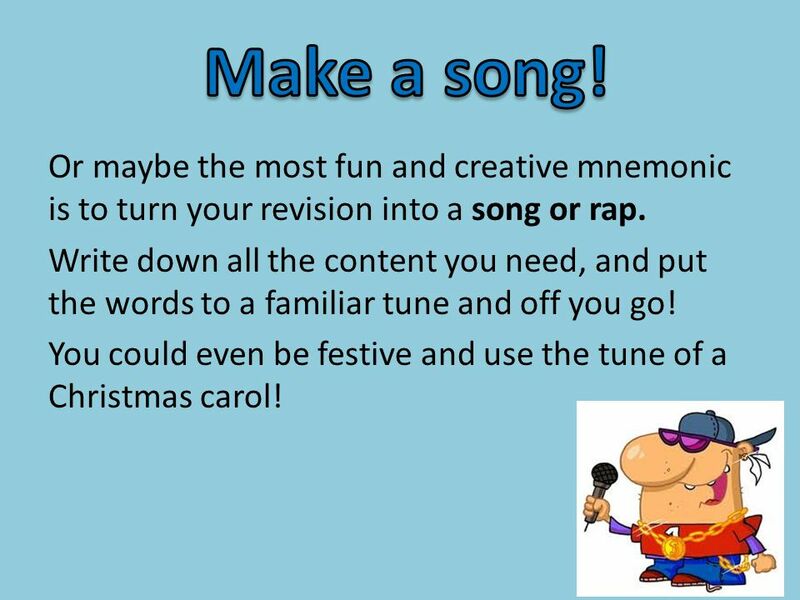 You could even be festive and use the tune of a Christmas carol! 14 The Power of the Highlighter! If you buy only one pen……(as long as you already have a black biro) Highlight key words. 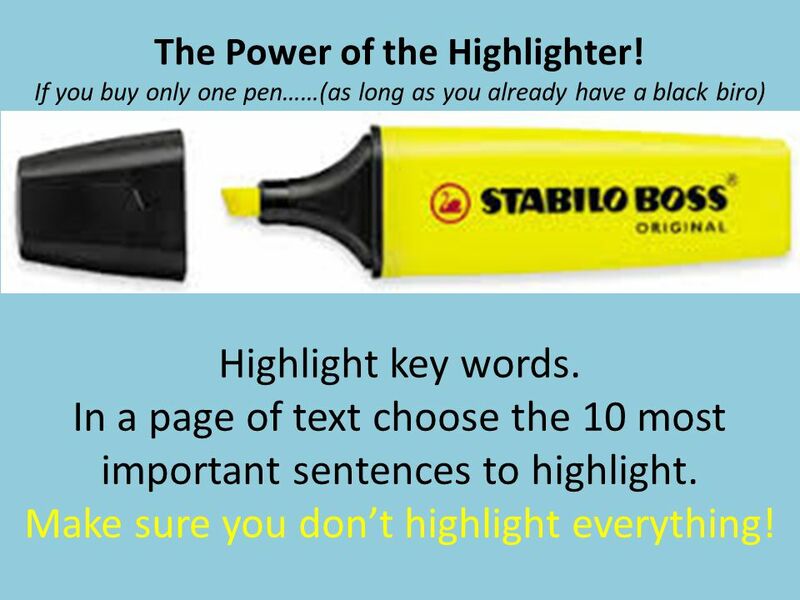 In a page of text choose the 10 most important sentences to highlight. Make sure you don’t highlight everything! 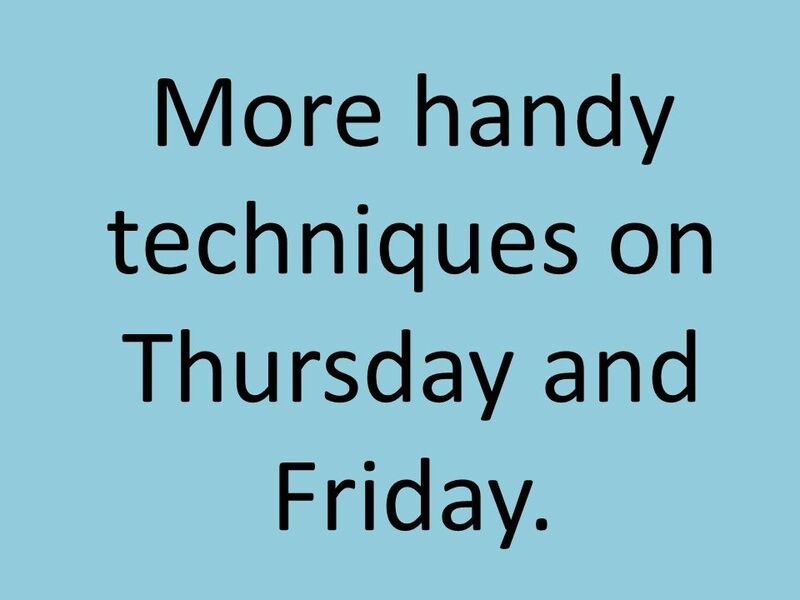 15 More handy techniques on Thursday and Friday. Download ppt "Revision 2014 Make this Easter Holiday count!. Variety and Novelty Subject Length of time Revision or learning style MIX IT UP." Revision Revolution This booklet suggests ways to help your brain remember things…….. It still needs your help to make it happen before exams!   Ms. Caranci 10 th Grade English Click on the pictures to learn about each play. When finished, click the review button. 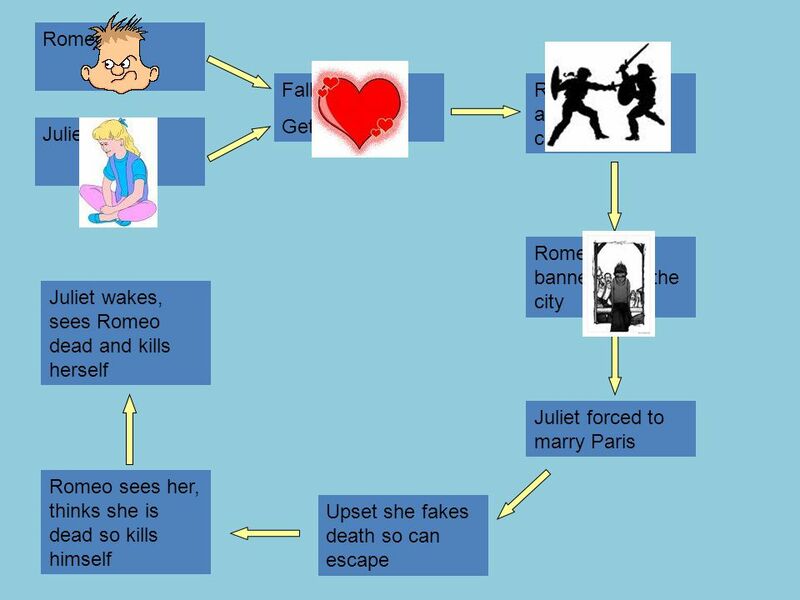 Romeo and Juliet Guide to Acts II-V.
Who Killed Romeo and Juliet? Fate Arguing that “fate” led to the deaths of Romeo and Juliet means that they did not die because of any character flaws. Joseph Turner, Jacob Helm, Travis Welsh, and Ryan Purk. Romeo and Juliet Act Three. Scene One  Mercutio, and Benvolio encounter Tybalt and a few Capulets in the street who are looking for Romeo  Romeo enters. Romeo and Juliet by William Shakespeare. The Main Characters Romeo Montague – in love with the idea of love Juliet Capulet – young, strong, and doesn’t. © Mark E. Damon - All Rights Reserved Rules for playing 1.At the start of every question, each team will be given an opportunity to answer. 2.Lord Montague.